@caad1x Wah even u guessed the right city..
@NickLoweBasher Hi there! You can look forward to this Limited Time Sweet towards the end of May. We think that Moon Baby is happy with the news that it’s Friday! Tara na guys! Nag-enjoy ka na, nakatulong ka pa! For only 150 pesos. 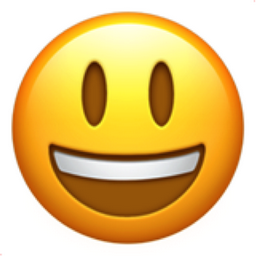 Like Smiling Face with Open Mouth Chronological Emojitweets 9263?